Gastroesophageal reflux disease (GERD) occurs when your stomach contents reflux into your esophagus. It’s a common disease that can cause symptoms such as heartburn and acid reflux, which can lead to serious health complications overtime. Diet and lifestyle modifications are regarded as important interventions for the disease. This article explains what GERD is and its causes, which foods you should eat and avoid, as well as a sample menu for a GERD diet. 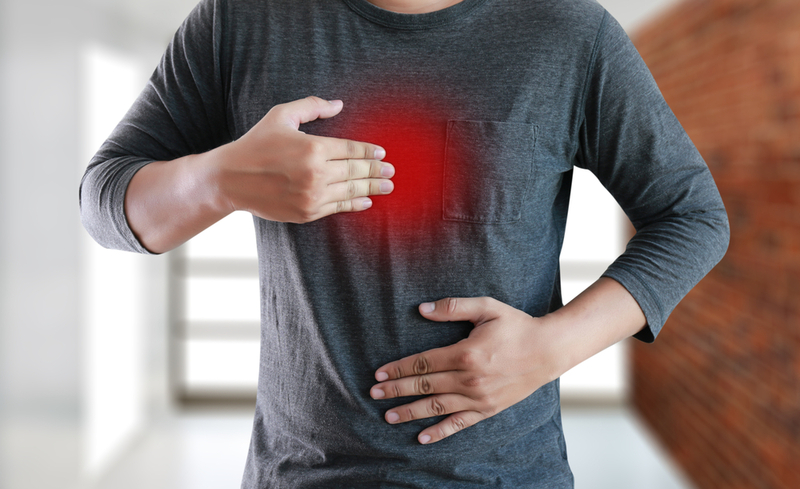 GERD is a condition that occurs when the contents of your stomach reflux into your esophagus, the tube that connects your throat with your stomach. Symptoms of the condition are heartburn, acid reflux, chest pain — and in severe cases — swallowing difficulties. It’s one of the most common gastrointestinal diseases, affecting more than one-quarter of people in the U.S (1). The long-term effects of GERD are known to lead to many serious health complications. Barrett’s esophagus: A condition where the lining of your intestines replaces the tissue lining your esophagus. Esophageal strictures: A narrowing or tightening of the esophagus, which can lead to swallowing difficulties. Adenocarcinoma: A form of cancer that occurs in the esophagus. People with symptoms of GERD such as heartburn and acid reflux are typically prescribed proton pump inhibitors (PPIs), which reduce stomach acid production. But with more serious symptoms such as swallowing difficulty, malnutrition or intestinal bleeding, a tiny camera on the end of a long, flexible tube called an endoscope may be used to visually examine your digestive tract (2). While there are a number of factors associated with the development of GERD, obesity is one of the largest risk factors (3, 4). With GERD, the types of foods that produce symptoms in one person may not produce them in another (5). That said, there are foods and drinks generally recommended to avoid or limit with GERD (6, 7). Citrus fruits such as oranges, grapefruit, lemons, limes and tomatoes. Fatty foods such as full-fat dairy products, fatty or fried cuts of meat, cream sauces as well as oily and greasy foods. While coffee is thought to increase GERD symptoms, a review of 15 studies found no association between coffee intake and GERD (8). In either case, it’s a good idea to identify certain foods that trigger your symptoms as they vary from person to person. Certain foods may help ease GERD symptoms. In addition to several other health benefits, increasing your fiber intake, specifically in the form of fruits and vegetables, may help your symptoms. Whole-grain rice, breads, pastas and oatmeal are also good sources of fiber. Lean cuts of meat (sirloin, eye of round and flank steaks), poultry and fish, low-fat dairy products as well as dried beans and peas are good protein options. Combining diet with other lifestyle modifications can further improve GERD symptoms. Consume 4-6 smaller meals throughout the day. Avoid meals within three hours of bedtime. Get sufficient sleep each night. Elevate your head when lying flat. GERD is a common condition underlain by symptoms such as heartburn, chest pain and swallowing difficulties. While no diet has been shown to prevent all symptoms of GERD, certain foods may be better tolerated than others. Alcohol, citrus fruits, fatty and spicy foods might increase your symptoms, whereas fiber-rich foods and low-fat meats and dairy may reduce them. In addition to your diet, you can also improve your symptoms through lifestyle modifications such as exercise, maintaining a healthy weight and avoiding tobacco use.